Purchase online in India LM1117-Adjustable SMD Voltage Regulator at low cost from DNA Technology, Nashik. This is LM1117 adjustable voltage regulator. With output voltage range from 1.25 Volt to 13.8 Volts.The voltage can be set using only two external resistors. 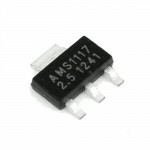 LM1117 is a series of low dropout voltage regulators with a dropout of 1.2V at 800mA of load current. 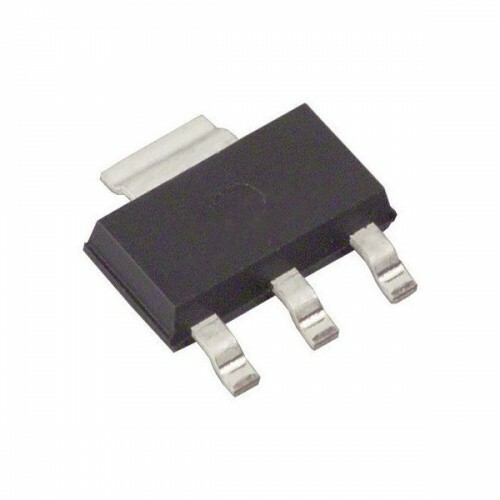 It has the same pin-out as National Semiconductor’s industry standard LM317. 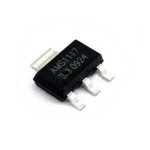 In addition, it is also available in five fixed voltages, 1.8V, 2.5V, 2.85V, 3.3V, and 5V. The LM1117 offers current limiting and thermal shutdown. Its circuit includes a zener trimmed band gap reference to assure output voltage accuracy to within ±1%. 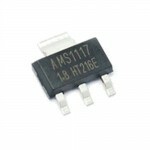 The LM1117 series is available in SOT-223, TO-220, andTO-252 D-PAK packages. 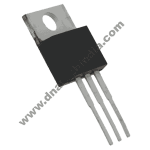 A minimum of 10µF tantalum capacitor is required at the output to improve the transient response and stability.